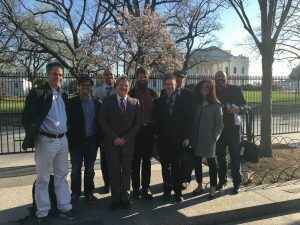 ASPB’s public affairs unit will provide updates on policy developments in Washington and other plant biology news impacting the ASPB community. Position statements are an important communications tool for ASPB to establish and pronounce its official view on a range of topics. Further, position statements are an invaluable opportunity for the Society to contribute formally to the public dialogue on a particular issue and are regularly referenced by policymakers and the media. Visit often to stay informed of policy developments and other activities of interest to the plant biology community. See the Grants & Funding section of the website to stay informed about select funding opportunities and provide background information on the key public and private agencies supporting plant biology research and education. Meeting with your Members of Congress or writing a letter to them can bring plant biology issues to the forefront and can begin a relationship between you and your elected officials. 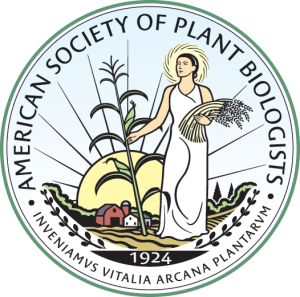 Read about ASPB members in the news and other items of interest for the plant biology community on our Policy Blog. The blog features news and information before they hit the pages of the ASPB Newsletter. It also provides an opportunity for you to engage in dialogue on policy developments affecting the plant biology community. You can also join a science policy discussion online at Plantae.org. Completed in July 2013 and introduced to the plant science stakeholder community during Plant Biology 2013 (July 20-24), this report addresses the nation’s urgent needs and provides a Plant Science Decadal Vision that serves as a call to action. The Science Policy Committee at the White House (March 2016). Contact Tyrone Spady, Director of Legislative and Public Affairs, at tspady@aspb.org or 301-637-2750 x121.